The insurance industry has lots of exposure to climate change. But as Warren Buffet has explained, not so much for companies that do annual policy adjustments, like Berkshire Hathaway. Their exposure is limited because the trends are baked into the premiums. But there is an opportunity for reducing insurance risk due to climate change, and it comes from the insurance industry itself. The business model is to have car insurance salespeople provide leads to virtual electric car charging services. This has perfect demographics because electric vehicle owners are very receptive to solar electricity. Who wouldn’t want a clean transportation solution with local job creation that can’t be offshore? The concept for car insurance being linked to electric vehicles and the opportunity to sell electricity comes from the community solar business model. 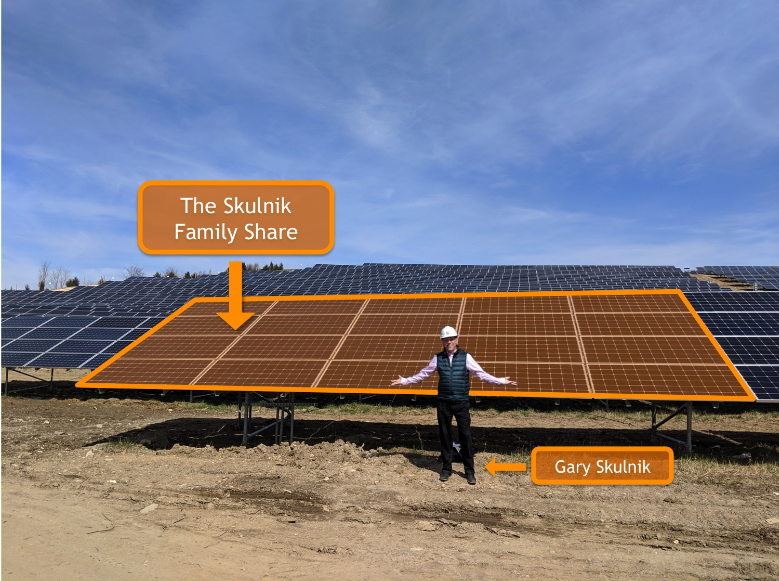 Community solar, or community solar gardens (CSG) is a virtual way for people to get solar electricity at their home or business for half the capital cost of putting the solar electricity at their facility. 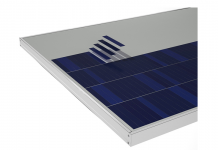 A large scale remote solar electric plant can be constructed for currently at least half the cost of a building integrated or local solar system. But that does not mean 50% savings… again, it depends on the regulatory model. 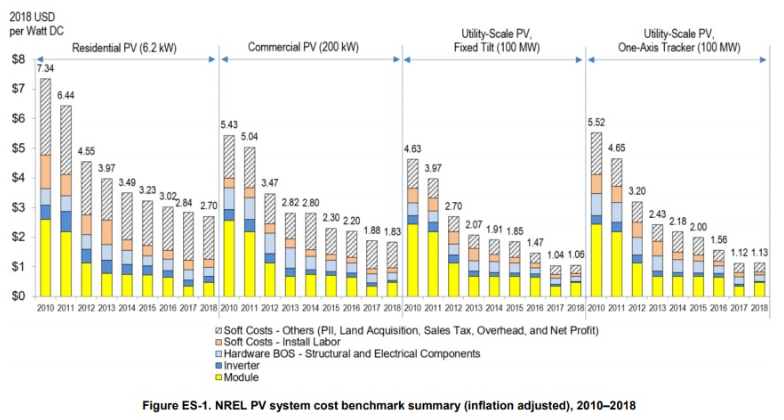 At least one utility in NY is compensating garden solar production at a lower rate than for net metering (check dsireusa.org for CSG policies nationwide). When I proposed the first “Solar Shares” business model to the Sacramento Municipal Utility District in 2005 it was actually met with approval at the Board of Directors level. Then in 2008 United Power in northern Colorado produced their own version of customers buying remote PV modules. In 2010 Claire Levy, former legislator in the U.S. state of Colorado, authored the first approved CSG legislation in Colorado HB10-1342. Minnesota has an excellent track record of legislation supporting community solar with more states enacting such legislation each year. Two issues with insurers selling solar come to mind. First, there are significant hurdles due to the state specific nature of community solar regulations. Community solar is only available in a few states, and not even statewide. In New York, for instance, the community solar farm has to be in the same load zone and on the same utility as the customer. Second, in some states community solar does not include RECs. You get the financial benefits of solar but not the environmental benefits. Communication around the program would have to be very local. Car insurance companies, like Berkshire Hathaway’s (BRKA) Geico, know who owns the electric vehicles. The data on who owns an EV is obtained from the car insurance salesperson and then is used to target market virtual car electricity pricing/service. Geico is unlikely sign up for this, but MidAmerican Energy, Pacificorp and BHE Renewables might be interested in customer data from Geico. 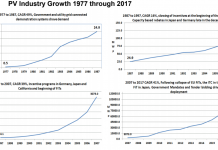 These are all Berkshire Hathaway Companies that sell electricity to consumers, business and industry with BHE Renewables being the latest to embrace solar. With CSG legislation sweeping the country, these car insurance salespeople can now help to market a vehicle-community-solar-garden electric supply contract to their customers. 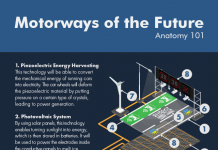 The concept of virtual net metering need not be limited to physical properties; it is well suited for an EV needing to be charge all around town. Blockchain technology can now track transactions for electricity produced, consumed and the financial ramifications in a secure trustworthy traceable fashion. Electricity produce at a low cost community solar garden (possibly installed on unused disturbed/compromised land) through blockchain technology transact electricity produced to electricity consumed at any EV charging station. Blockchain enables trust for the credits and debits ledger of the electrical financial transactions no matter where the electricity is consumed. Meters don’t have to be on buildings anymore. In my opinion, car insurance salespeople are ideal to help build this scenario of community solar gardens producing electricity and electric vehicles consuming it, with secure trust worthy transactions through blockchain. I envision community solar garden companies to begin certifying blockchain transaction services with their own or someone else’s software as a service (SAS) products that track the energy and financial transactions. 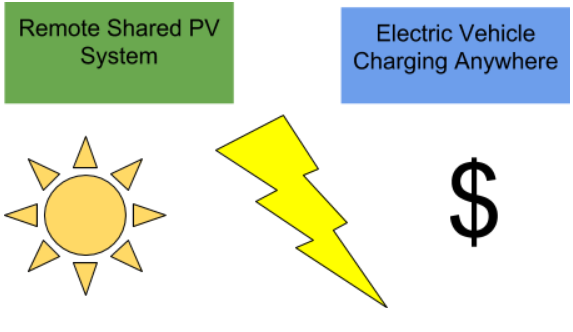 EV charging network companies like EVgo, Chargepoint, Plugshare and of course Tesla are all ripe to connect with community solar garden companies. Solar garden companies should recognized the 4x need EVs have in comparison to home electricity. Policy is key to enabling this business model and getting society off oil and onto solar EVs for climate sake! 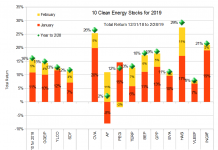 I Would like to thank all those who helped with this article including NREL, SMUD, Neighborhood Sun and AltEnergyStocks.com. Joseph McCabe is an international renewable energy industry expert with 20 years in the business. He is a Solar Energy Society Fellow, a Professional Engineer, and is a recognized expert in developing new business models for the industry including Community Solar Gardens and Utility Owned Inverters. McCabe is a mechanical engineer, has a Masters Degree in Nuclear and Energy Engineering and a Masters Degree of Business Administration. Joe is a Contributing Editor to AltEnergyStocks.com and can be reached at energy [no space] ideas at gmail dotcom. Please contact Joe for permission to reprint. DISCLAIMER: I have no positions with any companies mentioned in this article except Berkshire Hathaway.